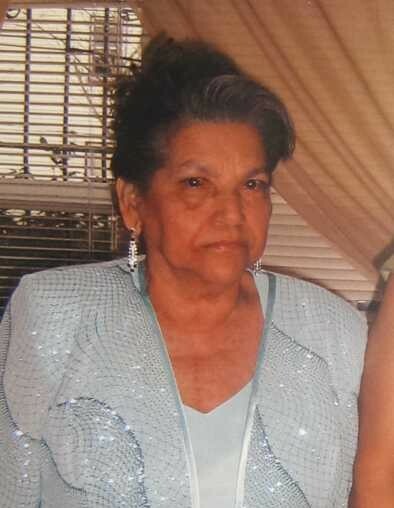 Josefa Antonia Baez De Perez, 80, of Jersey City, passed away on Sunday, August 5th, 2018 at Jersey City Medical Center. Josefa came to Jersey City 20 years ago from San Cristobal, Dominican Republic. She leaves behind to cherish her memory her seven children, Hector Rafael Perez, Juana Maria Perez, Carlos Rafael Perez, Rafael Hanibal Perez, Carmen Nelia Perez, Lidia B. Perez and Ruth Margarita Perez; her two brothers, Jose Baez and Dario Baez; her sister, Margarita Baez; 20 grandchildren and many great-grandchildren. Relatives & friends are invited to attend the Visitation on Wednesday at the funeral home from 5:00 - 9:00 pm. Interment will take place in San Cristobal, Dominican Republic.